This is an analytical chemistry laboratory. We are trying to establish novel analytical platforms to quantitatively answer certain biological questions. So the first question you may have is what type(s) of analytical platform we make. The answer will be microfluidics, devices that can manipulate tiny amount (fL-µL) of liquids. A few years ago, we figured out the emerging technology 3D-printing can be used to fabricate microfluidic devices in an efficient and customized way (Figure A). In the future, we plan to further explore this technology in microfluidic device fabrication. Moreover, we will implement 3D bioprinting to make more in vivo mimic devices. As aforementioned, we use the devices to answer biological questions. So what aspects of biology are we interested in? First of all, we are interested in 3D cell culture. The idea of combining cell culture and microfluidics has been conducted for about 2 decades. The term “Organs-on-a-Chip” was also proposed to represent this methodology. However, most of the reported devices cultured cells on a 2D confluent layer, which cannot mimic real tissues or organs. In vivo, cells are growing in a 3D mesh-like structure called extracellular matrix (ECM), which has proven to be able to affect cell biology. Therefore, we have been trying different materials to mimic native ECM. For example, Figure B shows the application of electro-/blow-spun polymer microfibers as a 3D substrate for cell culture. In the future, we plan to use more native and organ specific polymers to fabricate ECM in both fiber and gel formats. We hypothesize that 3D cell culture on a microfluidic device can make more physiologically relevant organs-on-a-chip models. The second focus on the biological side is quantitation. As an analytical chemist, the PI has inherent interest in quantitating molecules. More importantly, quantitation of molecules of interests (i.e., drug metabolites) can accurately evaluate the efficacy of an organs-on-a-chip model. The PI is specially interested in in situ and (near) real time quantitation of a tissue/organ model. We apply any analytical method that works. Currently, we do spectroscopy, separation, mass spectrometry, and electrochemistry. Sometimes, we need to build a customized instrument for the quantitation. So what are the specific biological questions that we want to answer? As shown in Figures C and D, they are both blood circulation mimics on a chip. In Figure D, endothelial cells and pancreatic β cells were integrated to study cell cross talks. We plan to continue to study endothelial cells given their importance in many diseases such as atherosclerosis and diabetic complications. In addition to that, we will study microbes and antibiotic resistance, cancer cell invasion, macrophages and inflammation, and liver cells. Overall, we are at the interface of analytical chemistry, biochemistry, material science, and bioengineering. The ultimate goal of our research is to develop some PRACTICALLY USEFUL organs-on-a-chip models that can be used in pharmaceutical industry and physiological research institutes. Akash S. Munshi, Chengpeng Chen, Alexandra D. Townsend and R. Scott Martin. Use of 3D-printing and modular microfluidics to integrate cell culture, injections and electrochemical analysis. 2018, Analytical Methods, in press. Chengpeng Chen, Alexandra D. Townsend, Elisabeth A. Hayter, Hannah M. Birk, Scott A. Sell and R. Scott Martin. Insert-based microfluidics for 3D cell culture with analysis, 2018, 410 (12), 3025-3035. Reprinted as attached in the application package. Kevin P. Feltz, Emily A. Growney Kalaf, Chengpeng Chen, R. Scott Martin and Scott A. Sell. A review of electrospinning manipulation techniques to direct fiber deposition and maximize pore size, Electrospinning, 2017, 2, 16-31. Ruipeng Mu , Chengpeng Chen , Yimeng Wang and Dana M. Spence, A quantitative, in vitro appraisal of experimental low-glucose storage solutions used for blood banking, Analytical Methods, 2016, 8, 6856-6864. 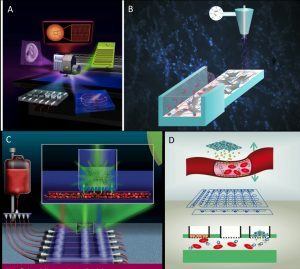 Chengpeng Chen, Benjamin T. Mehl, Akash S. Munshi, Alexandra D. Townsend, Dana M. Spence and R. Scott Martin, 3D-printed microfluidic devices: fabrication, advantages and limitations—a mini review, Analytical Methods, 2016, 8, 6005-6012. 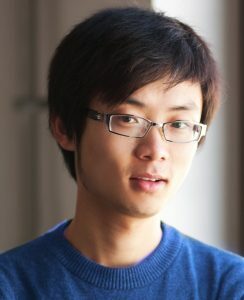 Chengpeng Chen, Benjamin T. Mehl, Scott A. Sell and R. Scott Martin, Use of electrospinning and dynamic air focusing to create three-dimensional cell culture scaffolds in microfluidic devices, Analyst, 2016, 141, 5311-5320. Bethany C. Gross, Jayda L. Erkal, Sarah Y. Lockwood, Chengpeng Chen, and Dana M. Spence, Evaluation of 3D Printing and Its Potential Impact on Biotechnology and the Chemical Sciences, Analytical Chemistry, 2014, 86 (7), 3240–3253.